Thomas Lyte are thrilled to handcraft a brand new trophy to be uplifted at the final of the AFC Women’s Asian Cup in Jordan 2018. Unveiled by Shaikh Salman bin Ebrahim Al Khalifa, the Asian Football Confederation (AFC) President, this trophy has been crafted at an important time for the women’s game, particularly as the competition will be played for the first time in West Asia. Embodying the spirit of the competition, the trophy stands at an impressive 52.5cm in height and is crafted in 5.5kg of Hallmarked Sterling Silver bullion. Taking 140 hours to create, this trophy has passed through the hand of eight different craftsmen at our London workshop. Based on traditional trophy designs, it also encompasses modern craft and design features. The handles are particularly striking and a key feature of the trophy. Cast from six solid silver bars, they point to the six participants that played in the first tournament in 1975. 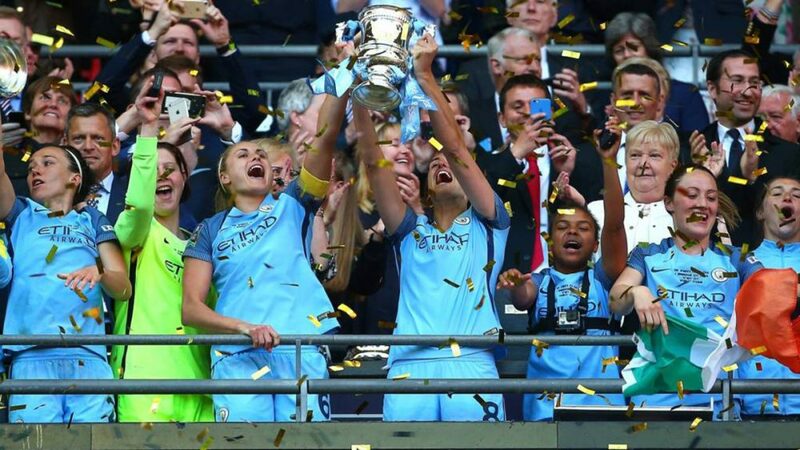 At the base of the trophy, eight highly stylised modern women footballers decorate the plinth, capturing the strength and agility of the modern competition. Thomas Lyte join you in celebrating International Women’s Day. 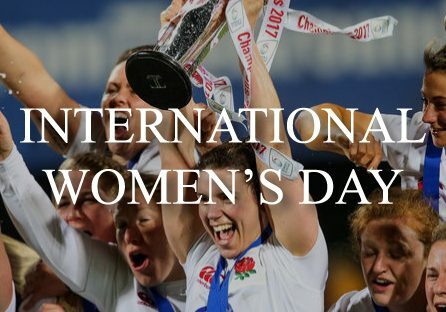 Observed for over 100 years and now celebrated around the world, this day helps to bring together governments, businesses, charities and organisations to acknowledge the achievements of women worldwide. At Thomas Lyte, we are privileged to work closely with many of the World’s top sporting organisations and through the trophies we design, make and restore play our part in celebrating the contributions made by many of the worlds leading women’s sports stars. Over the past 5 years particularly you can’t help but notice the increased profile of women’s sport and the role sport has played in empowering women and advancing towards equal opportunities. There is still some way to go but no doubt sport will continue to play an ever increasing role highlighting and profiling the talent and successes of women all around the world. With the final of the 2018 Women’s 6 Nations being contested for next weekend, women’s rugby has moved forward significantly in the past few years. First commissioned in 2008, this trophy has a spirit of the hertiage of the game. Crafted from sterling silver, the trophy originally took over 40 hours to complete, through a precise process of casting, spinning, hand engraving and polishing. With six teams competing for the title, Thomas Lyte were inspired by the shape and movement a cricket ball makes for the design of this trophy. The tournament is a semi-professional cricket competition in England and Wales, helping to further women’s cricket. Many of the teams feature some of the top players for England. One of our first prestigious trophies to be made in the Thomas Lyte Workshop, the Women’s FA competition is nearing its 50th year. This year sees the semi-final and final being broadcast live on the BBC for the first time in a primetime slot. The design of the trophy is based around the Men’s FA Cup Trophy. 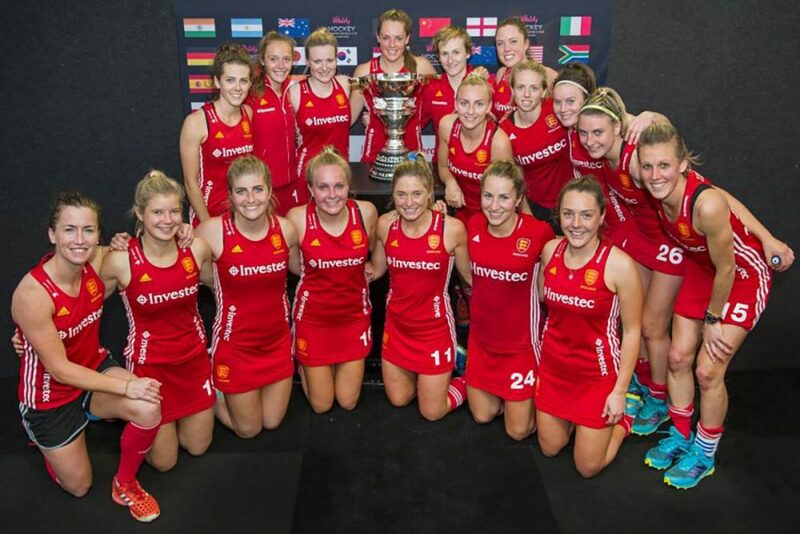 One of our newest trophies added to our trophy gallery, Thomas Lyte were commissioned by the International Hockey Federation to modify and restore the Women’s Hockey World Cup. The brief was simple, to use the existing bowl that was the Hockey Women’s World Cup, affectionately known as “The Salad Bowl”, and to add to it, creating a trophy following a very specific design that would give the women’s trophy the same look and stature as the men’s trophy. The premier international tennis competition, The Fed Cup, is the world’s largest annual women’s international team sports competition, in terms of the number of nations that compete. Thomas Lyte have been the official restorers of the original cup since 2009. The yearly restoration work depends year to year, from simple polishing and cleaning to more complex repair work. 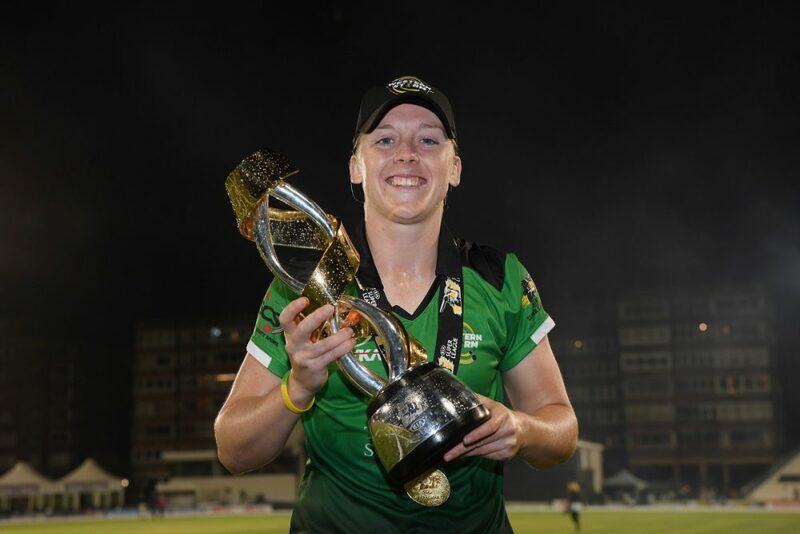 For more Women’s Sporting trophies that we have crafted, please do follow the link to our Trophy Gallery. Alongside the new trophies, an announcement of a new structure to the world tournaments signal exciting times ahead for the sport and the team at Thomas Lyte are thrilled to be involved. Comprising of a total of 12 men’s and 12 women’s team, the teams are made up of a host team, the Continental Champions and other top finishers at the 2016 World Team Table Tennis Championships. A trophy honouring the war dead from the rugby communities of Scotland and France is unveiled today (Friday 9 February) at BT Murrayfield. The Auld Alliance Trophy will be contested for the first time at Sunday’s NatWest 6 Nations Championship match between Scotland and France, which falls in the centenary year of Armistice. It specifically commemorates the captains of the two nations in the last matches played before the First World War – Eric Milroy (Scotland) and Marcel Burgun (France), both of whom perished in the conflict. But it is also a tribute to all those who made the ultimate sacrifice. In all, 22 French and 30 Scottish internationalists were killed in action, along with countless other club players from both nations. The driving force for the creation of the trophy was Patrick Caublot from the Amiens club in the north of France, who promoted it with David Anderson, a great-great nephew of Eric Milroy. Caublot and Anderson contacted both the French Rugby Federation (FFR) and Scottish Rugby last June to seek to commission a trophy to mark the 100th anniversary of end of the First World War. Scottish Rugby President Rob Flockhart, said: “The sacrifice made by so many from the rugby family in the First World War is never forgotten. “Our annual armistice service at our war memorial arch at BT Murrayfield is a poignant reflection of that loss felt in so many communities around the world. Brought up in Edinburgh, Milroy, a scrum-half, became an advocate of running rugby, with which Watsonians won the unofficial Scottish championship four times before the war. He toured South Africa with the British Lions in 1910 and was capped 12 times, including against Burgun’s France in 1913. He was killed at the age of 29 on the Somme in 1916, fighting as a machine-gun officer with the Black Watch. Born in St Petersburg, the son of a French clock-maker who worked for the Tsar, Marcel Burgun, won his first French caps playing for Racing Club in Paris before switching to Castres Olympique. He went on to win 11 caps from his debut against Ireland in 1909 and four of those caps were gained against Scotland. He played in France’s first-ever Championship victory – against Scotland in January 1911. Burgun learned that his elder brother was killed in action in the early battles of World War 1. He became an artillery observer and a pilot but he too died in action, shot down and killed in the summer of 1915. He won the Croix de Guerre and Palm and subsequently had a street in Castres named after him. Bernard Laporte, President of the FFR, said: “With the Auld Alliance Trophy, the FFR and Scottish Rugby will celebrate the strong relationship between France and Scotland at each Tournament. The trophy has been manufactured by silversmiths Thomas Lyte, whose craftsmen have created some of the most iconic sporting trophies, including the FA Cup, the 6 Nations Trophy and the ATP World Champions Trophy. The trophy is a magnificent symbol of considered craft being hand spun from hallmarked Sterling Silver. It stands at an impressive 60cm in height and took a total of 110 craft hours to create. Tim Munton, Commercial Director at Thomas Lyte said: “The Auld Alliance Trophy is a very significant commission for Thomas Lyte, commemorating an immensely sad time in our history, while celebrating a very significant sporting occasion. The trophy will be contested annually between the countries in the Six Nations Championship. On Sunday it will be presented by the two Union Presidents: Bernard Laporte (FFR) and Rob Flockhart (Scottish Rugby). At the start of the match, the trophy will be unveiled to the crowd by the latest generations of the Milroy and Burgun families – 11-year-olds Lachlan Ross and Romain Cabanis – who are both keen to follow their famous relatives and perhaps contest the trophy in their name in the future. Thomas Lyte are humbled to continue their assoication with the Premier League as the Designer and Makers of the Player’s Milestone Awards. In assocation with Cadbury, Players within the Premier League are awarded this achievement for making a mark within the competition. Designed by our team in London, the recipient player is award a medallion and plaque commemorating the player’s milestone comprised in a presentation box. Thomas Lyte are humbled to be the Designers and Makers of the Kauto Star Trophy. Working alongside The Jockey Club, this trophy has been created to pay tribute to National hunt hero Kauto Star’s incredible achievement as the only horse to have won the £1 million Chase Triple Crown. Any horse that can replicate Kauto Star’s 2007 achievement in one season will take home the £1 million bonus and this specially commissioned triple sided trophy. The horse must win The Betfair Chase, 32 Red King George VI Chase and the Timico Cheltenham Gold Cup. The trophy has been handcrafted by our team of Master Silversmiths in our workshop in London. Using a single sheet of brass, measuring 1.6mm in width, it was scorned and folded to create the triangle shape. Finished with engraving, this trophy is fitting tribute to Kauto Star. For more information, please visit The Jockey Club Website. Through the support of Barbarians sponsor Killik & Co. Thomas Lyte are delighted to be able to support the Doddie Weir Foundation. 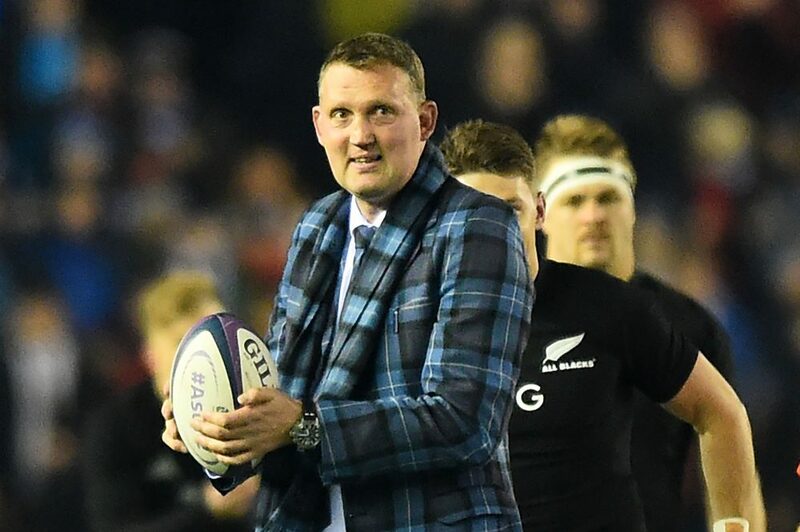 Doddie Weir is one of rugby’s most recognised faces and personalities, a championship winner at club level for Melrose and Newcastle Falcons, and on the international stage for Scotland and the British Lions. Capped 61 times for Scotland, Doddie toured with the Lions to South Africa in 1997, and continues to represent the most famous touring team in the game across the world at dinners, lunches and functions. In June 2017 Doddie revealed he was suffering with Motor Neurone Disease (MND) and immediately set about raising awareness of the disease and supporting fellow sufferers. He timed his announcement to coincide with Global MND Awareness Day and continues to support MND charities and research. We at Thomas Lyte were touched by the amazing scenes at Murrayfield when Doddie Weir strolled out with the ball for Scotland’s Autumn International against The All Blacks with his sons. An inspiration to many people, we are delighted to be able to support Doddie’s foundation with a draw for a signed barbarians shirt from their Autumn fixture against The All Blacks. Simply follow the link to donate and be in with a chance to win the signed Killik Baribians Shirt. Remember to leave your name and email when you have donated! Also supporting the Doddie Weir Foundation are our friends at the Sporting Wine Club. The Sporting Wine Club is the brian child of former England Rugby International Simon Halliday and Chris Mariner. The wines on sale through The Sporting Wine Club all have a link to the world of sport, either is owned or produced by sporting personalities or individuals with a strong, authentic relationship with sport. With a healthy number of well-known sporting personalities already on board, they are always looking to expand their portfolio. Two rules: all of the wines are produced by sporting personalities and every wine they sell is an estate wine, bottled at source. 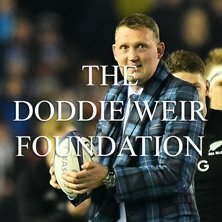 Together with the help of European Rugby, Sporting Wine Club have already raised £25,000, for the Doddie Weir Foundation. To continue to support Doddie, Sporting Wine Club are making donations to The Doddie Wier Foundation when you purchase cases of three of their wines. £5 per case for the Meerkat Sauvignon Blanc, Meerkat Burrow Blend and £10 per case on the Mon René Sparking Wine. They have a target in mind to raise another £2,500 through these sales and also to raise awareness of MND. So you can buy some great winend also support the Doddie Weir Foundation. To buy your Wine from the Sporting Wine Club, click here.